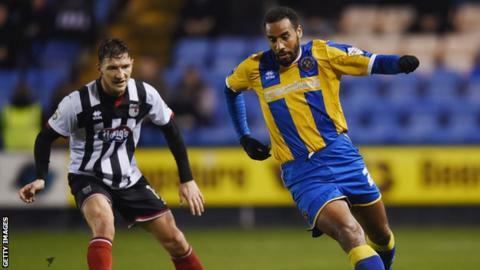 Southend United are set to sign Shrewsbury striker Tyrone Barnett on loan until the end of the season, reports BBC Radio Shropshire. The 30-year-old has scored six goals in 27 matches for Micky Mellon's side this season after joining from Peterborough in February 2015, having moved to Posh for a fee in excess of £1m in 2012. But he has only started one game for Shrewsbury since 31 October. The Shrimpers had shown interest in Barnett before he joined Shrewsbury. It comes after Joe Pigott returned to Charlton after his loan spell at Roots Hall ended.